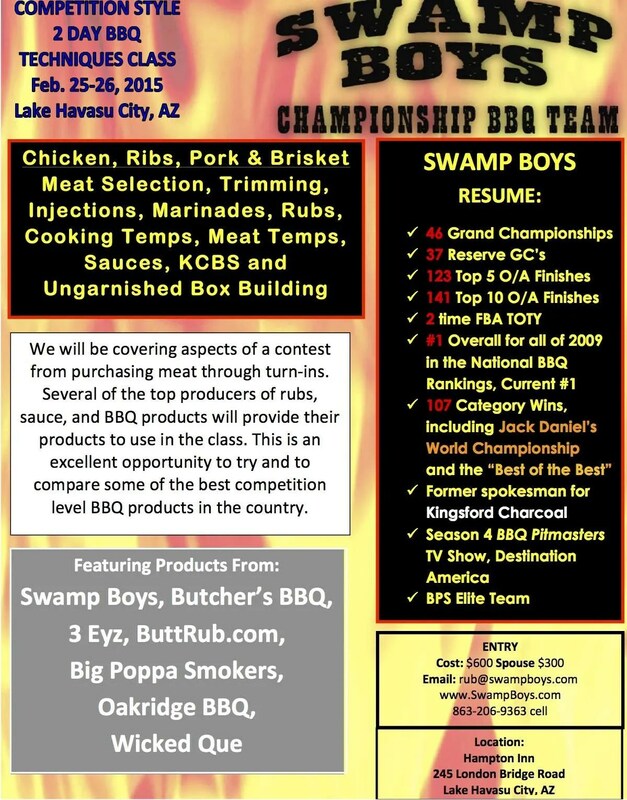 I am happy to announce that Swamp Boys Q School has been invited to teach Q School the Wednesday and Thursday (Feb. 25th-26th) prior to the 6th Annual Lake Havasu Music Brews & BBQ Championship. If paying by check, mail to the address on the application. If you want to pay by credit card, use this PayPal button. The fee PayPal charges is shown in the price. You will still need to get an application to me. 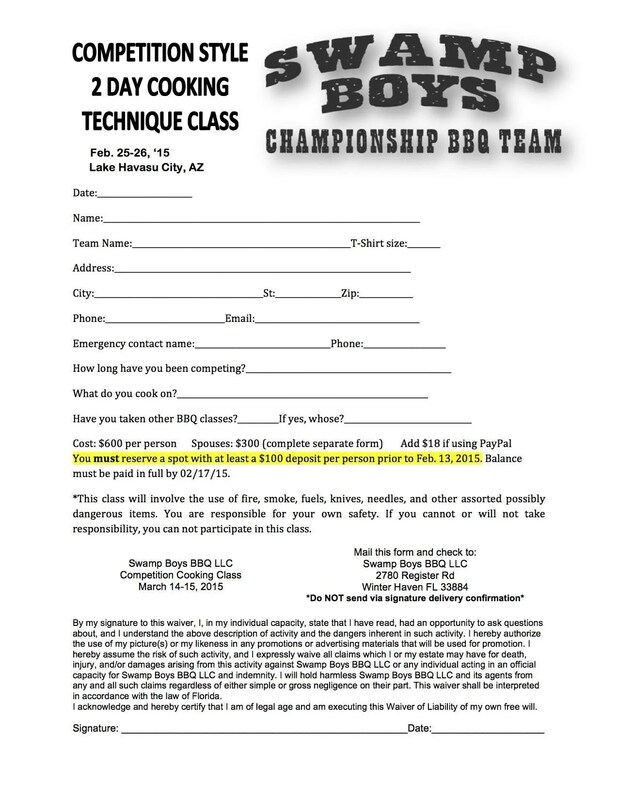 Deadline to sign up is Feb. 9!